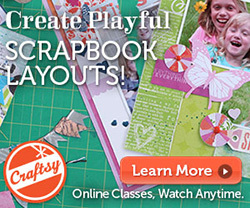 Hey there crafty friends! How are your Easter preparations going? 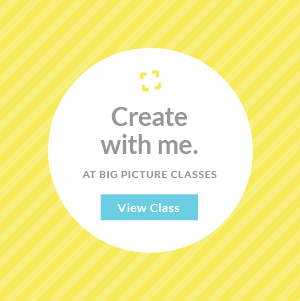 What have you been making? 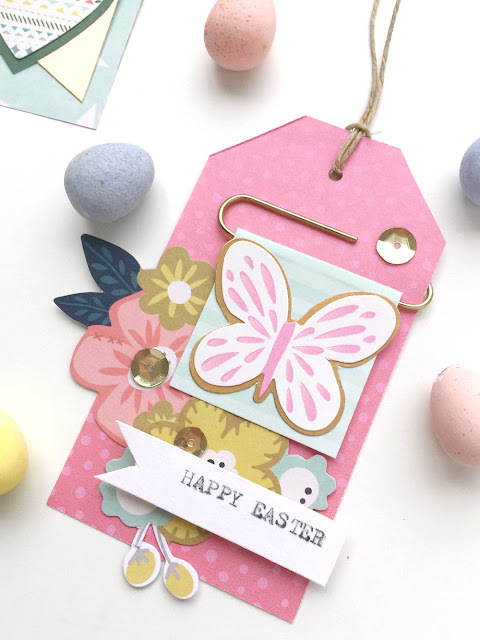 I've got a quick and easy Easter project to share with you. 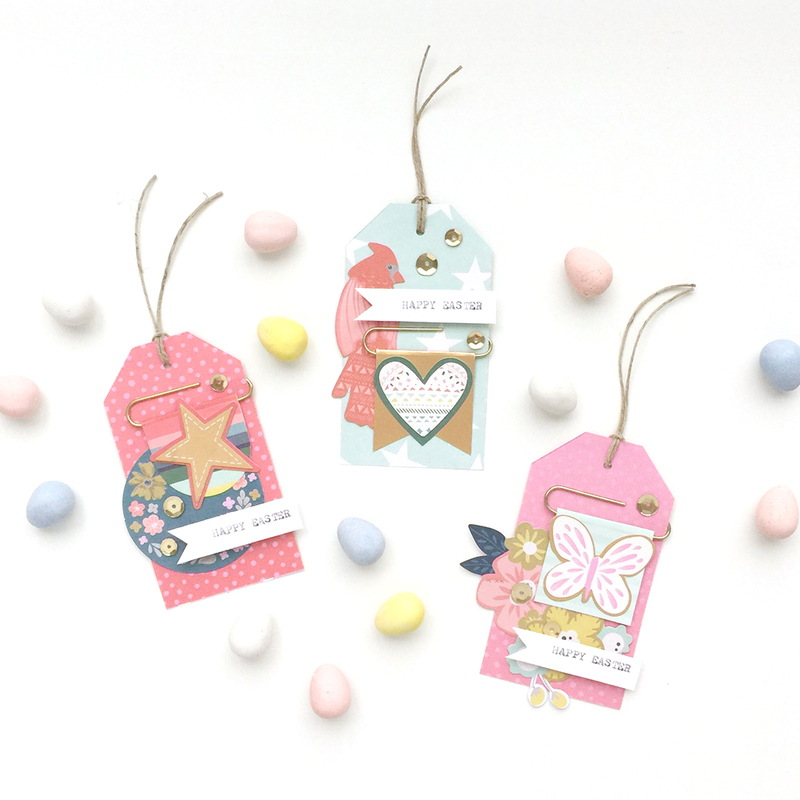 As you're putting together Easter baskets with yummy goodies and cute toys, don't forget a handmade gift tag is the perfect finishing touch! 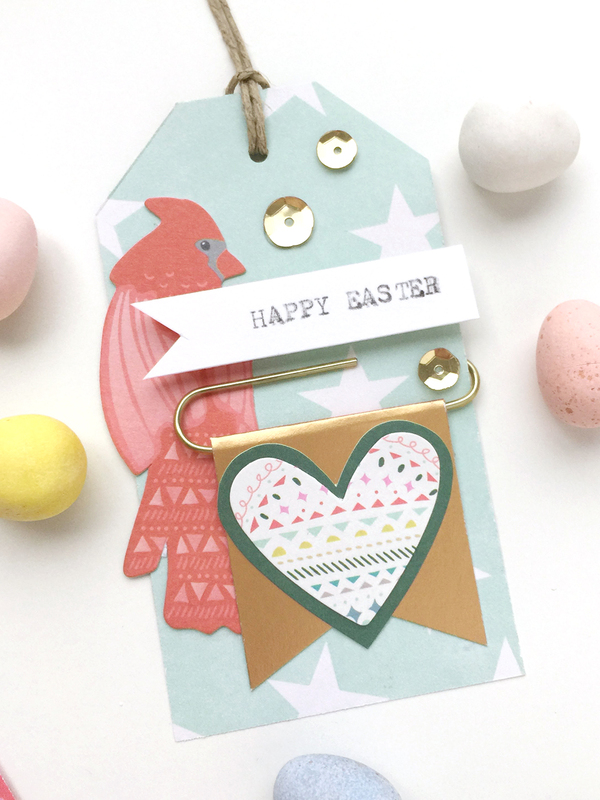 These pretty tags take minutes with some handy tools, and I'll show you how to make them. 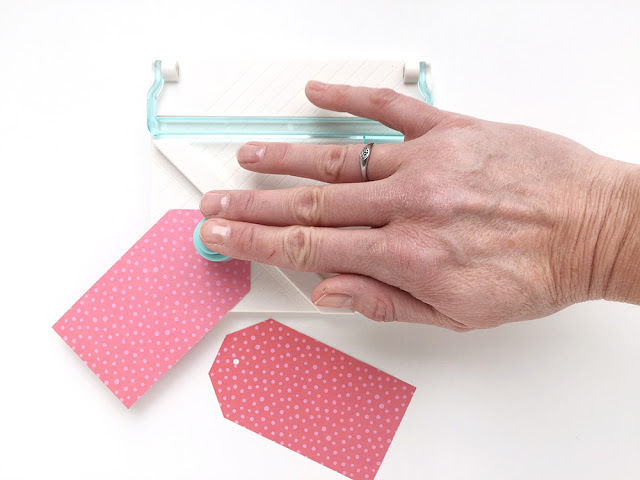 I don’t know about you, but whenever I try to make my own tags with my scissors and Crop-A-Dile, the corners are never quite even and and the hole isn’t centered. 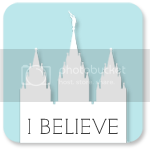 Of course I can use my die cutting machines, but sometimes I just don’t have time to get them out and set them up. 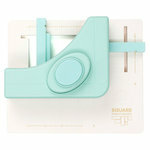 The Tag Punch Board is the perfect solution for quick, easy, even and centered tags. 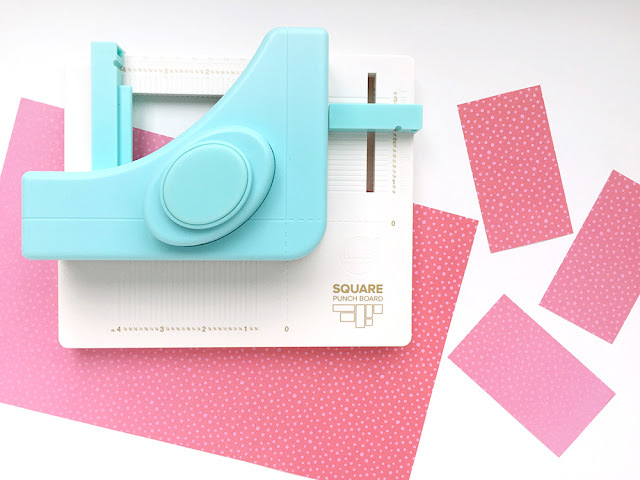 I combined my Tag Punch Board with another favorite tool of mine, the Square Punch Board. 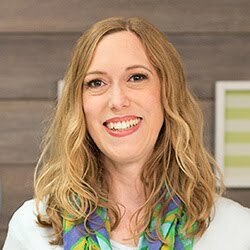 It’s my go-to tool for bulk projects like tags, invitations, or cards. 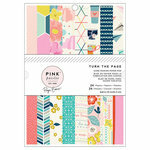 I used paper from the beautiful Turn the Page collection by Paige Evans for Pink Paislee. 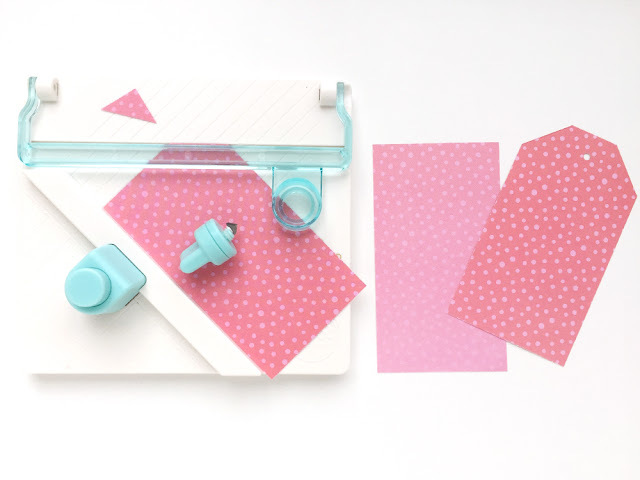 It’s perfect for spring projects! After punching out my rectangles I pulled out my Tag Punch Board. 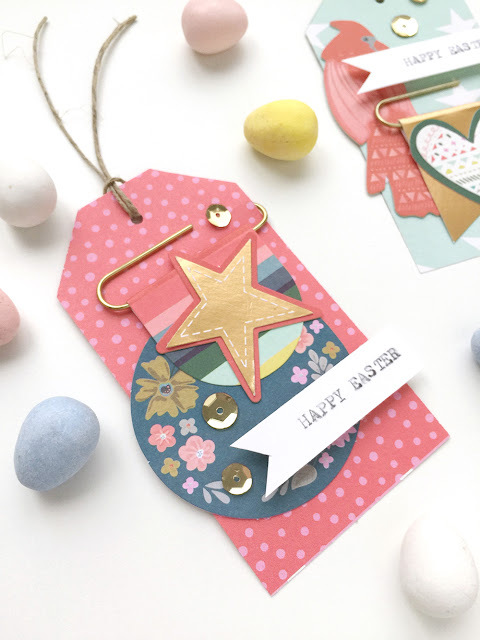 Check out my process video below where I demo both tools and share how to make these Easter Gift Tags. Once I created my tags, I added some pretty embellishments from the Turn the Page collection. A few gold sequin stickers finished them off and added a bit of sparkle. Thanks for stopping by today friends! 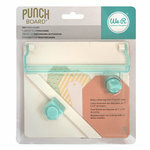 I hope you’ve enjoyed learning more about the Tag Punch Board. I use it all the time on so many different projects. I’ll see you next time with another project to share.